The chairman of Abu Dhabi Global Markets (ADGM) has said that it intends to extend the electronic know-your-customer (e-KYC) technology developed to help banks onboard retail customers earlier this year to incorporate SME customers. 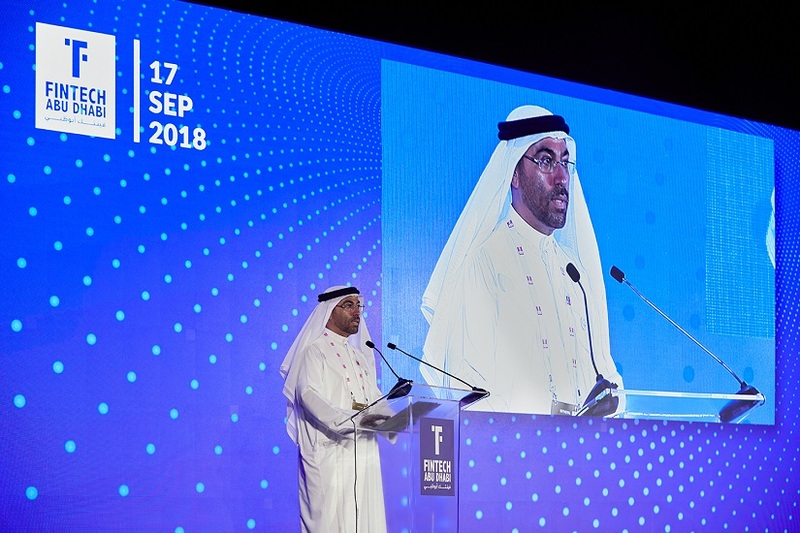 Speaking at the Fintech Abu Dhabi event on Monday, ADGM’s chairman Ahmed Al Sayegh said that the blockchain-based technology adopted “to increase efficiency and decrease costs associated with onboarding retail customers” was completed in July. “We will be starting a new phase to facilitate SMEs’ access to banking sectors. KYC is one of the key issues for banks – not just in the UAE, but everywhere, and I am very pleased with the co-operation we have had from regulators in the UAE and banks to come up with this proof of concept. Al Sayegh mentioned the 50 billion UAE dirham stimulus package announced by the Abu Dhabi government in June – details of which were released this week – was aimed at supporting the growth of SMEs and entrepreneurs, and said ADGM was “committed to supporting the government’s initiatives”. Other initiatives aimed at improving SME access to funding, he said, were the new framework to regulate private financing platforms announced earlier this month and the blockchain-based trade finance platform that it is working on with the Hong Kong Monetary Authority and the Monetary Authority of Singapore to access funding in overseas markets. Al Sayegh also announced the launch of ADGM’s new FinTech digital sandbox, which he described as “a digital environment to host the testing of new fintech products by industry participants with direct regulator engagement”. A press release issued by ADGM yesterday said it would allow financial institutions to “source and procure FinTech solutions locally and globally, run tests digitally on the platform, and adopt and orchestrate the best ones that meet their business needs”. It added that it would allow participants in the UAE to connect to other international fintech markets. ADGM had previously announced the launch of a crypto digital assets framework in June this year, and was praised in a keynote speech by Austin Alexander, senior vice-president of the popular US-based cryptocurrency exchange, Kraken. Alexander spelled out some of the issues that the five year-old Kraken exchange had experienced with regulators elsewhere, particularly with the New York Department of Financial Services, where he said some market participants had submitted bitlicence applications three years ago that were still pending. “Common sense crypto regulation is possible. The idea that we must choose between preventing money-laundering and allowing innovation to foster is absolute bunk,” Alexandar said. “Regulators can, and should, protect the public interest while at the same time fostering innovation. Or at the very least, regulators should aim to protect the public good without crushing innovation. “The signs that we are seeing from ADGM’s financial services regulatory authority is that perhaps they understand the need to strike this balance,” he said. He added that the approach from ADGM’s regulatory authority thus far had been open and transparent, and that it had acted “with much-needed humility”. “You see, the reality is that cryptocurrency is in its infancy. There are no experts,” Alexandar said.